The Palm B - This unit has 2 floors, DOUBLE DRIVEWAY and GRANITE counter tops! The LARGE KITCHEN has a ton of counter top and cabinet space! The living and dining room combo is cozy yet open with excellent natural lighting. The upstairs has a large master suite, 2 charming bedrooms and 2 roomy bathrooms. Stainless steel appliance come with your purchase. Home is being built to gold fortified standards.Comes with a 1 year builder's WARRANTY and a 10 year structural warranty. They will also receive $3,000 off closing costs with use of our preferred lender, .PHOTOS ARE OF A SIMALAR UNIT. Est. COMPLETION DATE IS SEPT. 2018. Minutes from Malbis shopping and dining! 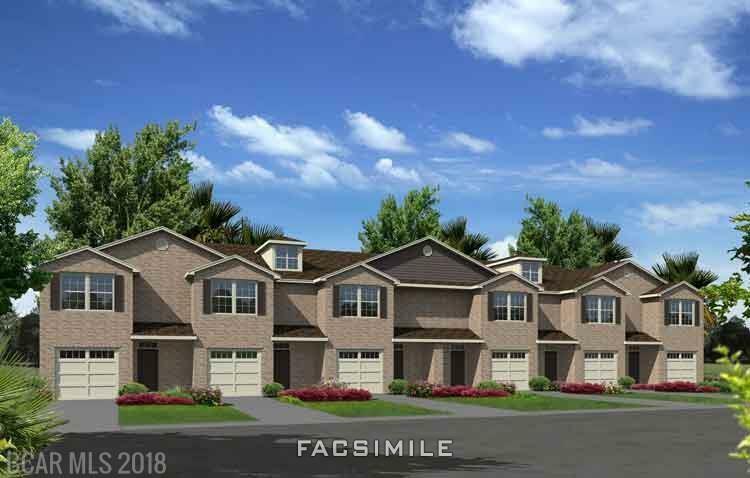 Come enjoy the condo life in Baldwin Co.! New Incentives! Up to $3000 in Closing cost with DHI! REDUCED $10k incentive already applied to the ROCK BOTTOM PRICE!! !